In this weekly feature, we publish question-and-answer sessions with you, the members of our association. 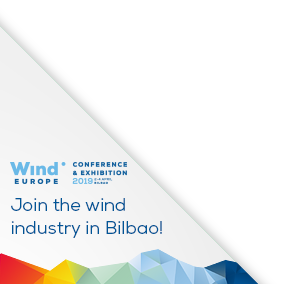 This is the perfect opportunity to share your views on the opportunities and challenges facing the wind industry today and going forward. Every week, WindEurope will publish a new interview on its website. This weekly interview will also be featured prominently on social media, ensuring maximum exposure for your organisation while giving you a platform of thousands with whom you can share your vision for wind energy. If you would like to participate in this project, we want to hear your voice! Please contact our copywriter, Colin Walsh, at [email protected], to arrange an interview. Colin will send you the interview questions and then prepare your answers for publication on our communication channels. Not a member yet? Find out why you too should join Europe’s best trade association!